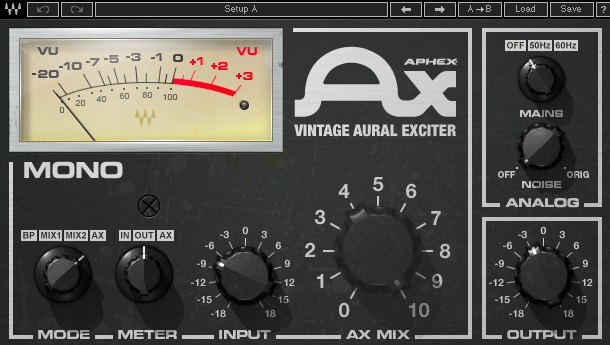 I like to use the Aphex Vintage Aural Exciter on a key melody instrument in a mix. If it’s a big synth in a dance track that’s playing that big post-hook drop melody, it’s a perfect choice. I use it by duplicating the track, then dropping the Aphex Exciter on the dup with the input cranked way up, but in AX Mode (so it gets only the added sonics of the Aphex Exciter, not the dry signal as well). Then, I like to crush it with some very heavy compression (often from the Renaissance Compressor or the H-Comp Hybrid Compressor), with fast attack and slow release. I then drop a Waves S1 Stereo Imager behind it and widen it out just a touch. The new, dupped “Excited” track can be blended with the original for a nice sizzly wide sound that exaggerates the original melody. 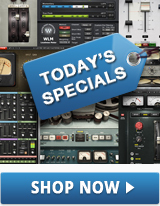 It sounds much cooler than simply adding high-end EQ to the original! It gives you better stereo image width and lets you control how much you want to push that sound.